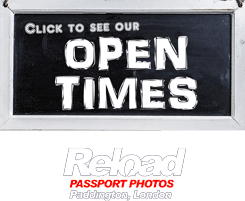 We are a Passport photo studio based in Paddington, London that can take your passport photo or visa photos for Finland. 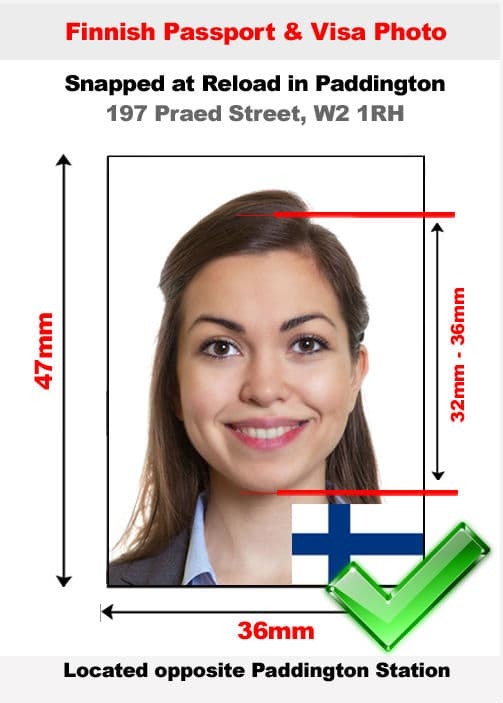 We can take your Finnish passport photo or visa photos in our store and our trained staff will take your photo with the right lighting and the correct background that the Finnish Government requires. We can print and prepare your Finnish passport photo or visa photo instantly while you wait in store. Our late opening times means that you can also visit us 7 days a week and we close at 10pm even on a Sunday. We charge £14.99 for a set of 4 photos and this includes a money back guarantee should your passport fail in the embassy. Watch the video on how efficient we are with Finnish passport photos and visa photos. You need to make sure that you have a set of high quality photos in order for your application to be accepted by the Finnish government, and sometimes instant photo kiosks will not be able to meet these standards. We have had countless customers who have been declined, visit us to get the right specifications of a Finnish passport photo or visa photo. Choosing Reload Internet to get your Finnish passport photo and visa photos can help you avoid delays that may occur with your application. You need to make sure that you have clear photographs that can be used to easily identify who you are when entering Finland. Your photo should less than 6 months old and it must be clear in focus with no red eye or reflections that can affect the overall quality of the image photograph. You need to have a clear complexion on the photographs with no excessive use of makeup or anything that could cover the face. These specifications and requirements are updated constantly by the team at Reload Internet as well as the Finnish authorities, the requirements have been found through the official Finnish passport and visa photo guidelines found here. The quality of the actual photograph should be good with a high print finish, which can be provided for you in store.